What to Do With Old Water Filters: Recycle, Reuse or Replace? » What to Do With Old Water Filters: Recycle or Reuse? What to do with old water filters is an often asked question. Water filters are designed to capture the impurities in your water, but these impurities can build up over time. When it does, it is time to get rid of it? Well, for starters, if you don’t change your water filter often. You will notice a decline in the quality of the water you consume, simply by the taste of it. Hard water or tap water often reduce the lifespan of your filter’s cartridges and cause them to reach their expiry date faster than you would like them to. This is because hard water contains sediments, mercury, and calcium which contribute to building ups known as limescale. These substances in the water cause the filters to clog faster and may allow other impurities to pass through. 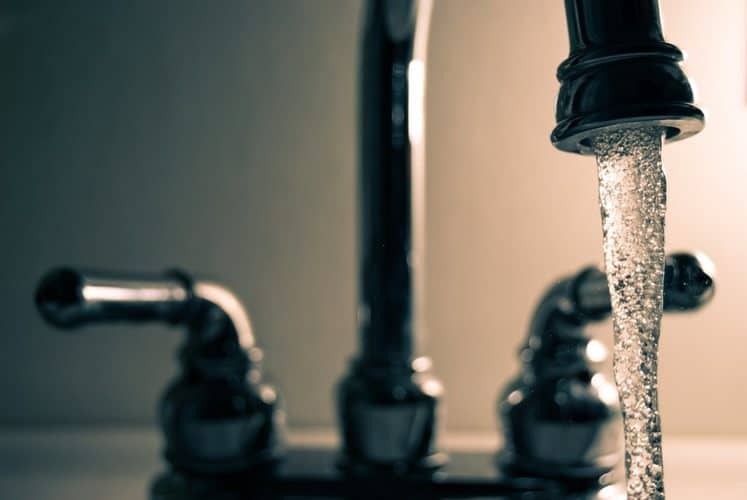 If you live in an area where the water is full of chlorine, then you should change the cartridge of your filter regularly to ensure that your water is safe for your drinking. How Do You Know It’s Time To Change Your Filter? The first sign that you need to change your filter should be based on the taste and smell of your water. If your water tastes or smells weird, it means that you should replace your filter. When the filter is full of contaminants, it will not do its job effectively. So the water flowing out of your pipe will be slower than you are used to. This is a sign that your filter is clogged and that it needs to be changed. Water filters sometimes get mold in them when they are overused or are unused for long periods of time. Contaminants left in water filters can cause rotting and mold. This will cause them to smell quite funky and you will find yourself asking what to do with old water filters. Water filters usually also have an expiry date attached to them that you may be unaware of. The manufacturer may advise you to replace the water filter after a few thousand gallons are passed through, and this may be indicated on the label of the filtered cartridges. If this is not available, then manufacturers may give a time frame of between three to six months. On some portable filters, there is a notification window that will advise you when it is time to replace the filter cartridge based on the color of the window. What Are the Dangers of Not Changing Your Filters? There are several things that happen when you don’t change your water filters. The longer you take to change the filter’s cartridge, the more it becomes blocked, and its ability to filter water is significantly reduced. This is alarming because your filter will become exposed to too many contaminants in a very short time. When you don’t change your filters, the collected contaminants that clog your filters create the perfect breeding ground for bacteria to grow and develop. If bacteria enter the water, then you can become really ill from a bacterial infection. Overused filters also become a breeding ground for mold which can cause allergic reactions and cause the water to smell and taste unpleasant. If you replace your filters on time, you will avoid mold problems. What to Do With Old Water Filters? There are several things you can do with old water filters, but you should safely dispose of them. The reason you would have bought one in the first place would have been because you were concerned about the wastage of buying bottled water. Or you may have been concerned about your health. Whatever your reason for getting on a filtered system, you should dispose of their cartridges properly. As crazy as it sounds, some people will reuse their filter cartridges. What they will do, before reusing the filter is clean the cartridge using water and bleach. They may also hose down the cartridge or refill them with activated charcoal. If you search the internet well enough, you will see videos on how to change out the carbon in filters after you cut them open. Water filters usually cannot be included in household waste recycling schemes. 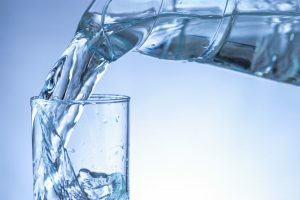 If you want to recycle your filter, some brands like Brita allows you to drop off your filter cartridges for recycling at most of their authorized dealers. These stores usually have boxes for collection of used cartridges. If you are unsure if your manufacturer provides recycling, you should contact them directly to find out about recycling. If recycling is not available, then you should include it in the recyclables section of your garbage collection. When your filter has reached its expiration date, or it is clogged too much to be used anymore, it has to be replaced. Some come with extra cartridges, but you should always have an extra cartridge so you would not have to wait for delivery of a new one. Also, you should always ensure that you replace your cartridge with the right model number and brand. These details will be found on the label of the old cartridge filter. If you are uncertain of how to replace your cartridge, then you should call a technician. There are many things for you to do with your old water filter. You can reuse it, have it recycled or just get it replaced. Whatever you decide, should be within your budget and reasonable. Recycling is a good option rather than throwing it out in the trash. That way, you will be sure that it does not end up in a landfill somewhere. If you are creative, then you can consider reusing it. However, this is not advised as you may not clean it out properly and there may still be contaminants in your filter even after you are finished.